The past few days have finally been feeling like fall here in NC, and you know what that means? Soup season! Anyone who knows me knows I go craaaaaazy for a nice hearty stew. I could probably eat stew just about every night. Even in the summer. Although this summer I totally dropped the ball on making gazpacho. Ah well. 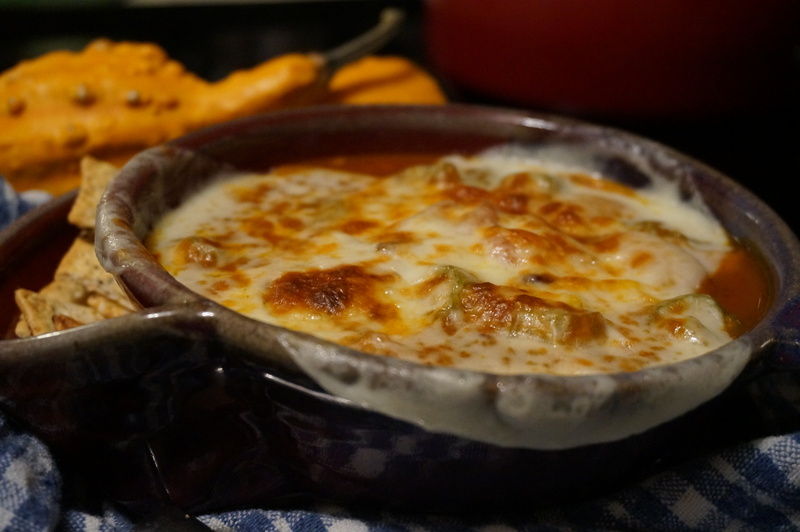 October is here now, and I’m all about a meal that you can dump into one big pot and let it cook all day so that it’s ready when you come home from your busy day at work, school, or whatever else you folks do with all your time. I saw Brunswick Stew listed on the menu at a new BBQ joint in downtown Durham a few months ago and was instantly curious. It sounded like all ingredients I would love, besides the meat part! When I looked up more about how to make it, the huge variety of recipes left me thinking that it’s probably not exactly a science to making Brunswick Stew. The only thing I found was that it typically has a tomato base and some sort of butter beans or lima beans, and meat. Other than that, free for all! I decided to go with turkey sausage and added some sweet potatoes, tomatoes, black beans frozen corn and okra (gotta stay southern somehow, right?) and let it simmer away in a slightly-sweet and absolutely delicious Organic Low Sodium Tomato and Roasted Red Pepper Soup base from TJ’s. Saddle up and let this crock do it’s thing, ya’ll! Happy sleeping weather! Happy Fall! Three cheers for my first stew of the season! I love fall, ya’ll! 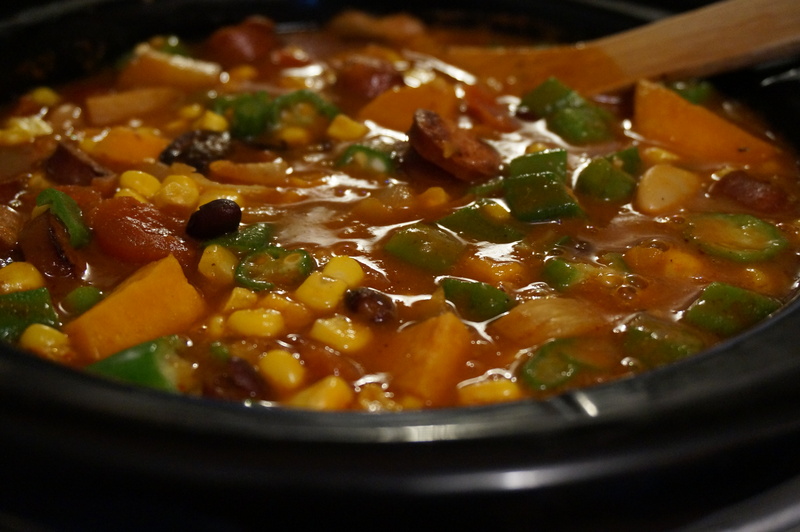 Try this healthy and hearty Brunswick stew for your next chilly October evening and keep enjoying those leftovers all week long! In a skillet on medium high heat, cook onions, garlic, and parsnips in 1 tbsp olive oil for 4-5 min or until tender. Add to crock pot and set heat to low. Add sweet potatoes and sausage to same pan and cook until browned, about 2 minutes, stirring frequently. Scrape up browned bits on bottom of pan and add to crock pot. Add soup base, tomatoes, beans, and spices to crock pot and stir to combine. Set to low heat and let ‘er crock away for about 4 hours or until bubbling. About 30 min before serving, add corn, okra, and S+P.